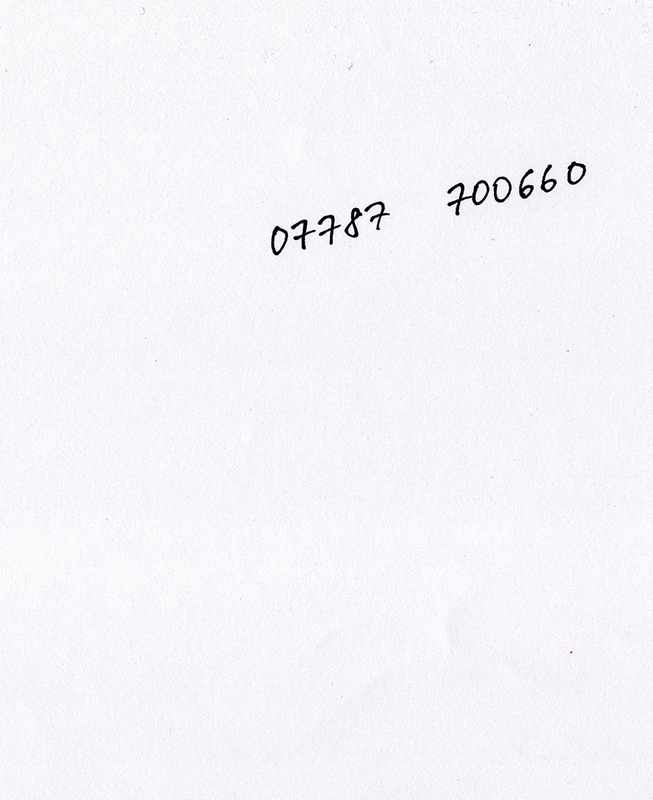 A telephone number is printed on an otherwise blank page. Should you call the number, we devise a playful instruction for you to act on in your immediate environment. We then invite you to do the same for us.